Inflatable SUPs have become all the rage in recent months. The advancements in affordable inflatable SUPs have been impressive. 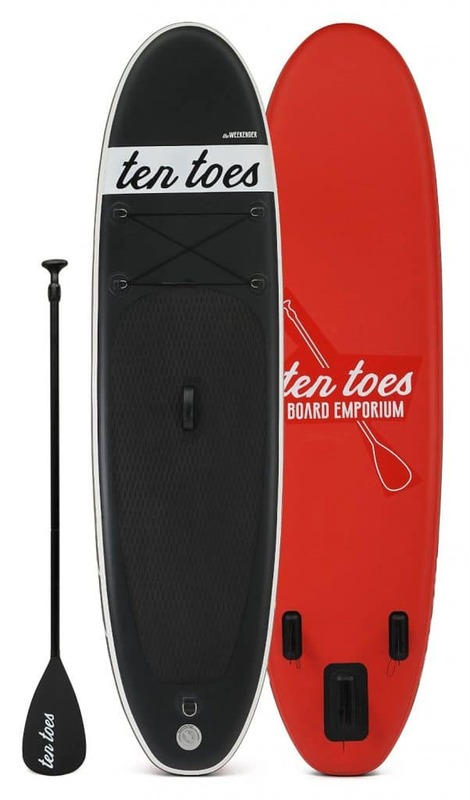 One of the latest additions to the inflatable SUP circuit is the Ten Toes Weekender, also known simply as the Weekender. Simply put, the board lives up to all the good feedback it is receiving. Some users have even called it the best affordable board they have ever tried. Read on to see if the Ten Toes Weekender deserves all the hype. 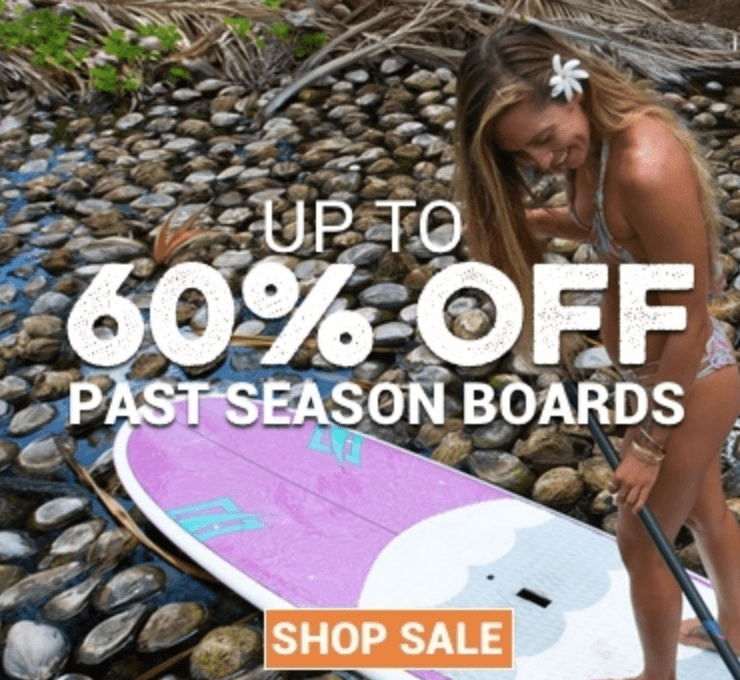 Whether it is the design, how it makes you feel, or the construction, it is possible to connect with the right board from the very first paddle. The Ten Toes Weekender is definitely one of these boards. From the first moment you hold it, there is a strong chance you will feel as if you have an automatic connection with it. The careful construction of its foam body is one of the main reasons the Ten Toes Weekender feels so right. If tough, durable material is important to you, nothing can beat the Weekender’s military-grade PVC. This indestructible material, filled with numerous layer of premium foam, serves as a protective shell over the 10-inch board. There is also a base cloth with two layers of high-density sheets on top. Next, the three layers are topped with an extra supported fabric beneath the PVC. The final result: a thick, 6-inch body that mimics a hardwood board when inflated. The board’s construction garners a lot of attention. From the material to the assembly, all of the elements are securely held in place by an impenetrable 6-inch drop stitch. This particular stitching provides additional stability and thickness – essential factors when considering an inflatable SUP – and also increases the amount of abuse the board can take. This is especially important for beginners that are still learning the ropes of this enjoyable sport. Pros will also appreciate the durable design since it allows for a bit rougher of a ride if desired. The Weekender’s rigid constructions glides smoothly over the water and also provides an excellent response to paddle thrusts. 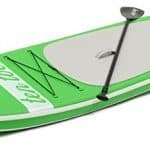 The non-slip EVA pad at the rear of the board provides a comfortable, secure surface for your feet. The soft pad offers special cushioning to help keep your feet stable, comfortable, and secure. Even after hours on the board, your feet will not feel fatigued. Your knees will also feel comfortable if you decide to paddle from the kneeling position. Although it may surprise you, the Ten Toes Weekender also comes with an extra section of tracking pad. If the original tracking pad happens to wear out, having an extra tracking pad on hand is extremely convenient. Although you may not notice it at first glance, a closer inspection of the board will review a design detail that is especially noteworthy – the board’s nose. This is important to mention since the design of the nose plays a significant role in the board’s overall performance. The nose is responsible for one of the SUP’s primary characteristics: speed. A sleeker nose results in faster speeds while a flatter nose creates more stability, but a slower overall speed. In terms of the Ten Toes Weekender, the nose is rounded and has a slight lift. This gives the Weekender a great deal of versatility. In flat waters, the board tracks well. In choppy waters, you can navigate the board without issue since the nose of the board helps easily break the waves. Speaking of versatility, the stability of the Weekender is perfecting for testing out your SUP yoga skills. Moving along from the top of the board, its underbelly also has its own share of noteworthy features. While most boards only come with a single removable fin, the Top Ten Weekender decided to push the envelope and offer three removable fins. Different fin combinations are suited to different scenarios. For more challenging waters, you can experiment with one large fin placed in the center of the board. If there is debris in the water, all three fins can be removed. 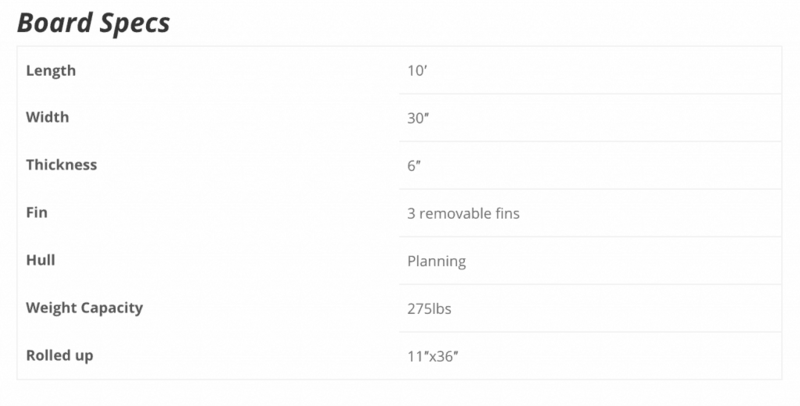 The fact that you can change and chop each of the three fins on the Weekender makes it that much more versatile. The board almost feels like a variety of SUPs all combined into one. in place with the push-in clip, they are not going to budge. A review of the Ten Toes Weekender wouldn’t be complete without mentioning its trendy, modern, sleek design. The chic color palette makes the board a true stunner. Users can select from a variety of color options including green, blue, and black with a bright red underbelly. Overall, the Ten Toes Weekender is a stunning, well-designed board. However, a few areas could use a bit of improvement. One such example is the lack of an extra D-ring. An extra D-ring (in addition to the four already attached to a bungee cord) at the front of the board would be extremely convenient in the event of having to carry any extra items. Another disappointing aspect is the included hand pump. Although it is not the worst, it is definitely far from the best. Pumping the board to 12 to 15 psi (the ideal pressure for the board) usually takes a solid eight or so minutes. Buying a separate, preferably electric, pump may be worth the investment. Finally, it is important to be aware that the Ten Toes Weekender does not include a leash or backpack. It would be nice for all inflatable SUPs to come with a backpack and a leash would definitely be a nice bonus as well. All things considered, the Ten Toes Weekender is almost perfect as an inflatable SUP, especially for casual paddlers or beginners. With a chic look, solid construction, excellent performance, an affordable price, and impressive versatility, the Weekender is a clear choice to consider if you are in the market for a stellar inflatable SUP. 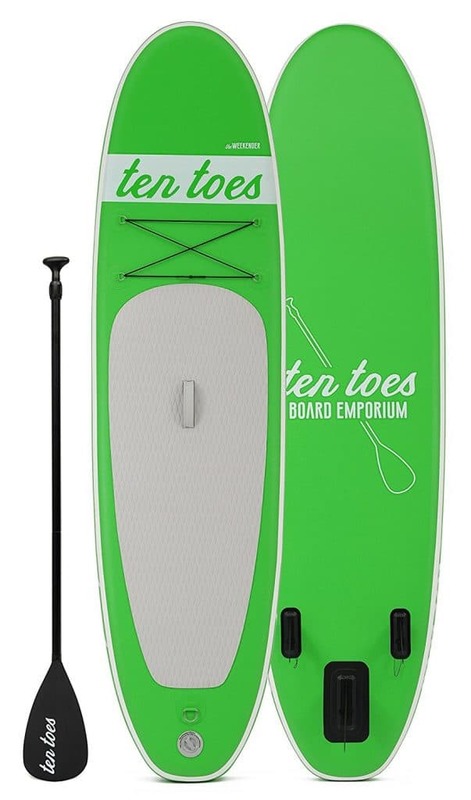 Please be sure to also read my review on Ten Toes other paddle boards in their line.